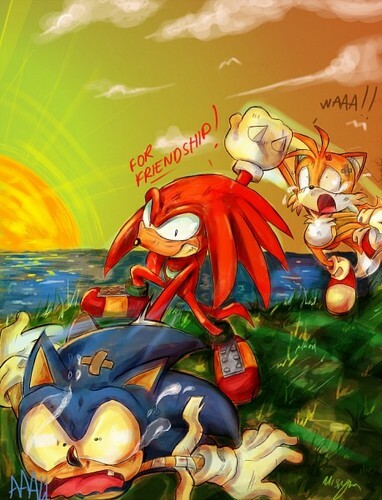 For Friendship. . Wallpaper and background images in the 刺猬索尼克 club tagged: sonic hedgehog knuckles tails funny. This 刺猬索尼克 fan art contains 动漫, 漫画书, 漫画, 卡通, and 漫画卡通. knuxs:no mercey!! sonic:oww talis:dont use me!! Sonic&Tails: Phew!! Silver its your turn!